In 1977, I first visited Slovenia when it was part of the former Socialist Republic of Yugoslavia ruled by Marshal Josip Broz Tito’s communist regime. Joze Borstnar was my tour guide. Joze and I reconnected in 2015 when he needed help writing a memoir in English of his famous father. Slovenia a la Carte – All You Ever Wanted to Know About Slovenia was published in 2016 in Ljubljana. Besides the story of his National Hero father and family, it also includes Slovenia’s political and social history, tourist destinations, hotels and everyday life. 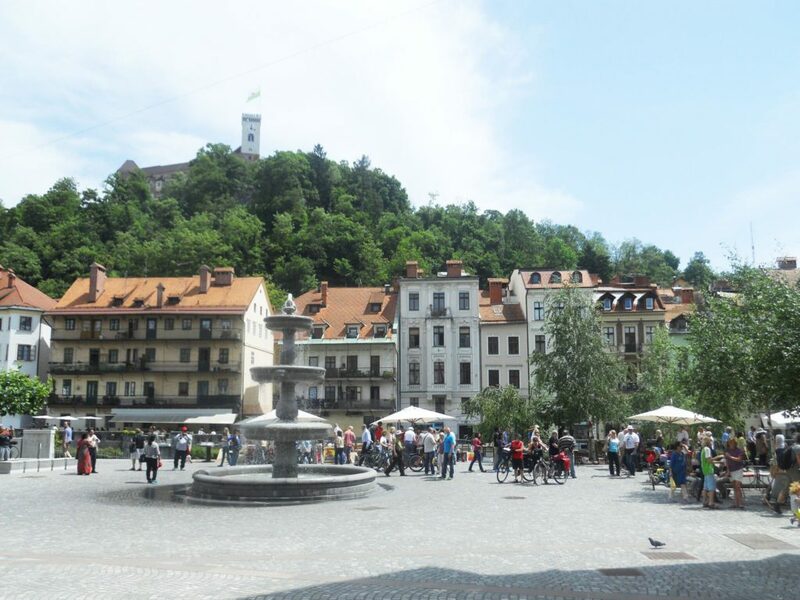 I arrived in Ljubljana on April 25, 2015 and my first impression was how beautiful and impeccably clean the city is. There is an abundance of trees, flowers and parks with mountains and the Julian Alps in the distance. I was there on April 27, a national holiday when Slovenes celebrate the day in 1941 when the Liberation Front was founded in Ljubljana two weeks after Hitler bombed Belgrade on April 6. 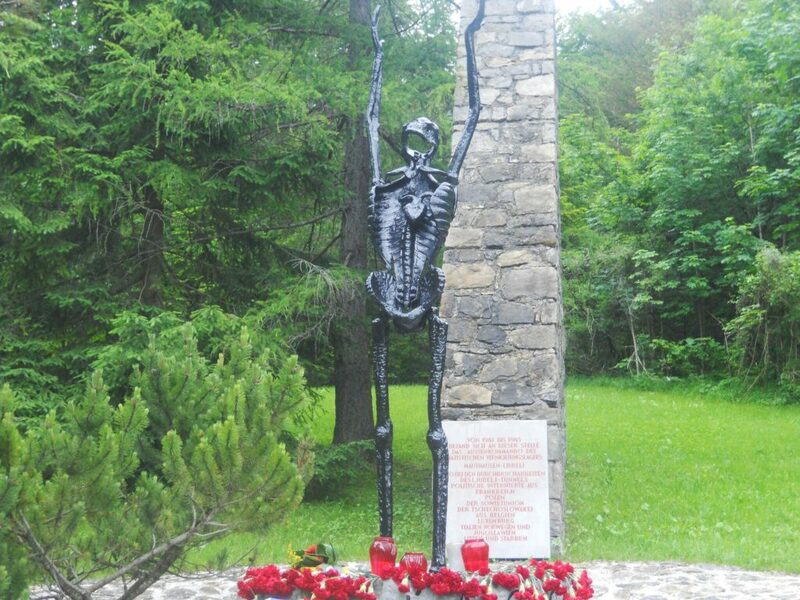 The Liberation Front was a coalition of different parties organized by the Communist Party of Slovenia to establish the Slovene Partisan Army to fight against the Nazi and Fascist armies. It was a brave decision because they had few weapons. Slovenian television had programs talking about those times and interviewing people, now in their 90s, about the roles they played in the Partisan victory. Slovenia’s great advantage as a tourist destination is that it is small and varied. From its capital Ljubljana, situated in the middle of the country, you can easily travel in one hour up to the Alps, to the Adriatic coast, or to castles, spas and vineyards. More than 50% of Slovenia is covered by forest, making it the second greenest country in Europe after Finland. 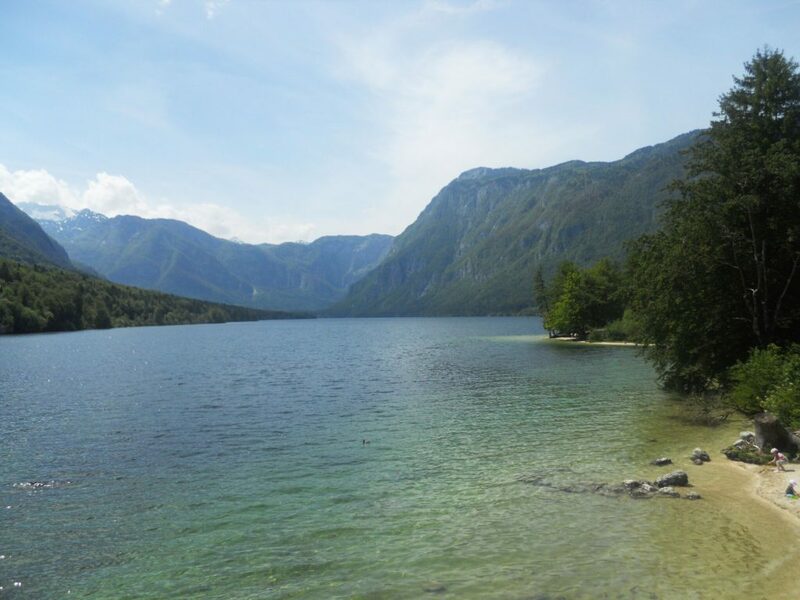 Lake Bohinj is a protected site. Slovenia is often believed to be a Balkan country because it lies at the edge of the West Balkan region. It is actually considered to be a Central European country because of its history, architecture and disciplined work ethic learned as one of Austria’s dominions. It is only 249 kms long and 162 kms wide and has a population of two million. Slovenian is the main language but English is widely spoken, as well as German and Italian. The Euro is the currency. After the United States, Canada has the second largest Slovene community who mostly settled in Toronto. Ljubljana won Europe’s Green Capital Award in 2016 given by the European Commission to the city that has achieved the highest environmental standards. It is situated between Italy and Hungary and immediately south of Austria so is ideally located for visiting other European destinations. From Ljubljana it is just a short drive west to Venice (280 kms) or northwest to Salzburg (270 kms), while Vienna is fewer than 400 kms northeast. Ljubljana Castle looks down on Novi Trg (New Square). Ljubljana is an incredibly well organized city and The Old Town is totally free of cars to help reduce CO2 so the air quality is crystal clear. If you need a lift, the city provides free golf-type carts called “Kavalirs” with a driver to take you where you want to go within the Old Town. Public transportation is by bus. In Ljubljana you do not have to go far to find something interesting to see or do. Only five minutes from the City Centre is Tivoli Park with activities for all ages. Hiking trails will take you up 394 metres to the highest peak. The “Lumpi Park” has all sorts of fun and games for children. For adults there is a tennis centre, mini golf, bowling alleys, swim-ming pool, saunas, well marked bike paths, restaurants and bars. People can enjoy picnics on the lush green lawns surrounded by forests. Even though the regions of Slovenia are less than 150 kilometres apart, neither the landscape nor the mentality of the local people could be more different. Austrian influence in the Julian Alps and the rest of northern Slovenia, and Italian influence on the coast are impressive. The language spoken is Slovene but every region has its own dialect. The first region we visited was the Dolenjska Region, Joze’s father’s birthplace. Neither Austria nor Italy influenced this region so the people here developed their own identity. The countryside has rolling hills, large valleys, spas, hot springs with natural healing waters and hundreds of small vineyards with Zidanica (vineyard cottages). Trska Gora – path to vineyard cottages. A special feature is Trska Gora hiking. “Wine Therapy,” is a five hour hiking tour which includes stops at six vineyard cottages. A small green pouch with a wine glass is placed around each hiker’s neck. At each cottage you may sample as many glasses of wine as you like! It only costs 15 Euros! 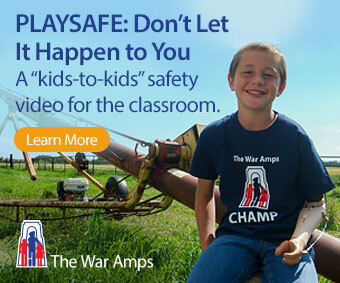 Visitors can do the same tour throughout the year. Thirty minutes north-west of Ljubljana you are in the Alps with alpine valleys and lakes similar to Austria. We first visited the charming old alpine town of Radovljica which dates back to the 15th century. It is famous for its Gingerbread Workshop with its colourful gingerbread hearts. 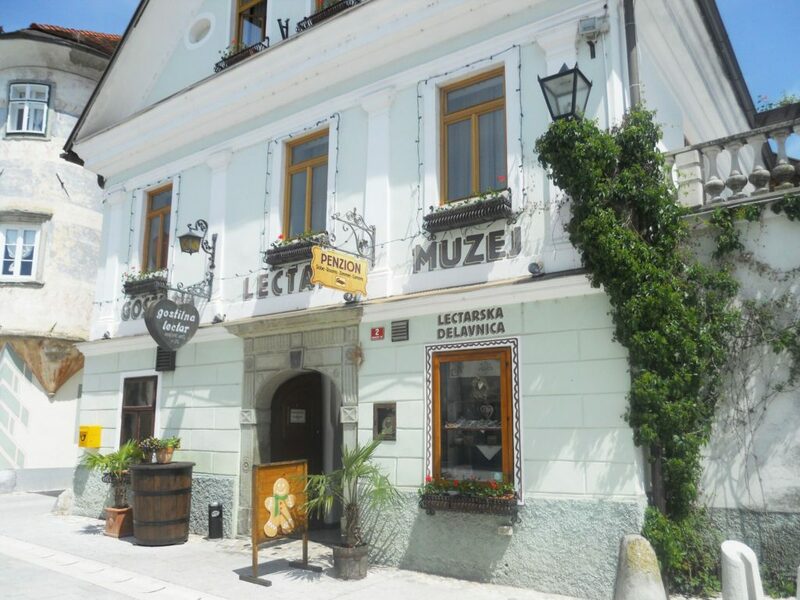 Radovljica – Lectar Inn, gingerbread workshop. A ten minute drive from Radovljica takes you to Slovenia’s most popular tourist destination. Lake Bled is truly magical and is the starting point for exploring the majestic Slovenian Alps which frame the glacial lake. Lake Bohinj is 40 kilometres west of Lake Bled and is in the Triglav National Park dominated by the panoramic Triglav mountain range. The region has a rugged beauty and offers a treasure trove of outdoor activities. Whitewater rafting, canyoning, kayaking, mountain biking, sliding down waterfalls and rock climbing are popular activities for all ages. At the Vogel Ski Centre, a cable car will take you up 1,700 metres to see breathtaking views, enjoy a variety of hiking and skiing trails and a chance to do some paragliding as well! Another trip to the Gorenska region took us to Kranska Gora (85 kms from Ljubljana), a trendy ski town where well-off Slovenians spend weekends at their holiday homes enjoying outdoor activities. Our next stop was Planica an impressive ski jumping centre only 3 kms from the Italian border and 90 kms from Ljubljana. Planica is the pride of Slovenia and boasts the longest ski jumping run in the world, and training runs of different lengths on artificial turf where ski jump training goes on year round. 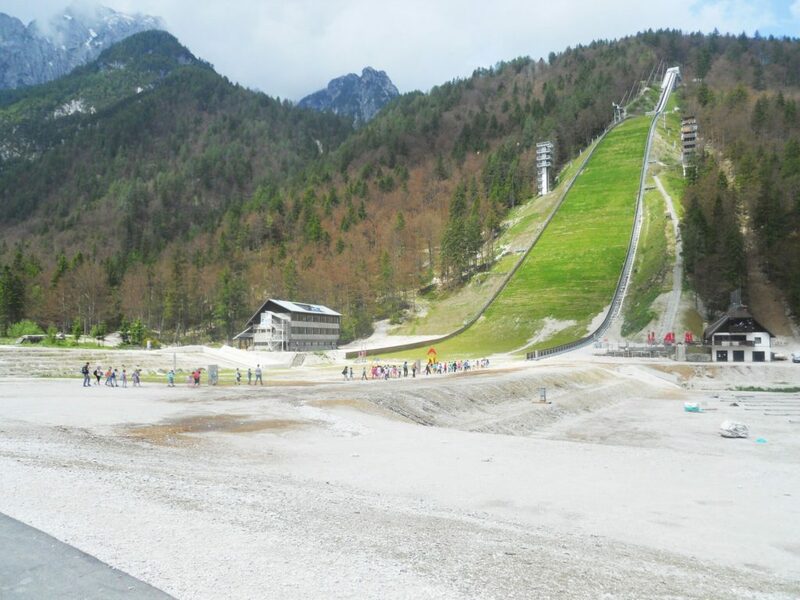 Planica – Longest ski jump in the world. We took the Vrsic Pass to get to the town of Bovec, kayak and rafting centre. We then continued driving through the Soca valley to the town of Kobarid where we visited the World War I museum. Horrendous battles between the Italian and Austrian armies took place there and so many died in the treacherous mountains. 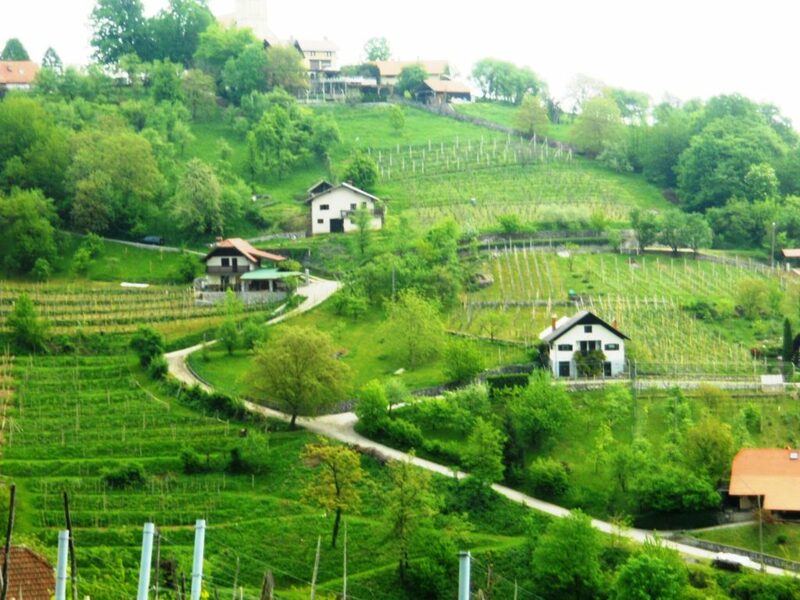 Leaving the town of Kobarid, we left the Alps behind and were in Goriska Brda (Slovene Tuscany), vineyard country with glorious 360 degree views of miles and miles of vineyards and ancient towns. The region from the Vrsic Pass down to Goriska Brda and then Trieste was only inhabited by Slovenes but was given to Italy after World War I and remained Italian until 1943. It took four agreements between Marshal Tito’s Yugoslavia and Italy for Slovenes to regain this territory in 1954. We ended our journey at Belica, a wine tasting restaurant in the village of Medana, less than a kilometre from Italian territory. Meals or appetizers are served along with wine tasting. You can taste three or five different white or red wines or a mix of both. It was a 360 km trip which took nine and a half hours of which we drove five hours and saw such a variety of landscapes! Our next trip was to the Austrian Slovenian border over the Ljubelj Pass. There are about 19 border crossings to Austria from Slovenia. At this border with Austria you enter a mile long tunnel and at the exit Austrians check passports and see if you are hiding a refugee! We turned around to go back into Slovenia where there was no checking at all! Migrants did not cross the border here but in eastern Slovenia where land is flat. Slovenes built a fence to stop the flow of refugees passing through on their way through Austria to Germany. Slovene memorial to Nazi victims. The tunnel has an interesting history. It was built by political prisoners from all over Europe who were held in Nazi hard labour work camps. The camps were supervised by the Mauthausen concentration camp in Germany. Fit, strong, male inmates were literally worked to death under harsh conditions. The camp had a crematorium to dispose of inmates. There was a camp on both sides of the border. Slovenia was occupied by Hitler’s Army and Mussolini’s Italian Fascists during World War II. Thirty minutes south-west of Ljubljana you first come to Karst where there is no agriculture because of the limestone terrain. It is the home of the world famous Postojna Cave and Skocjan Caves. 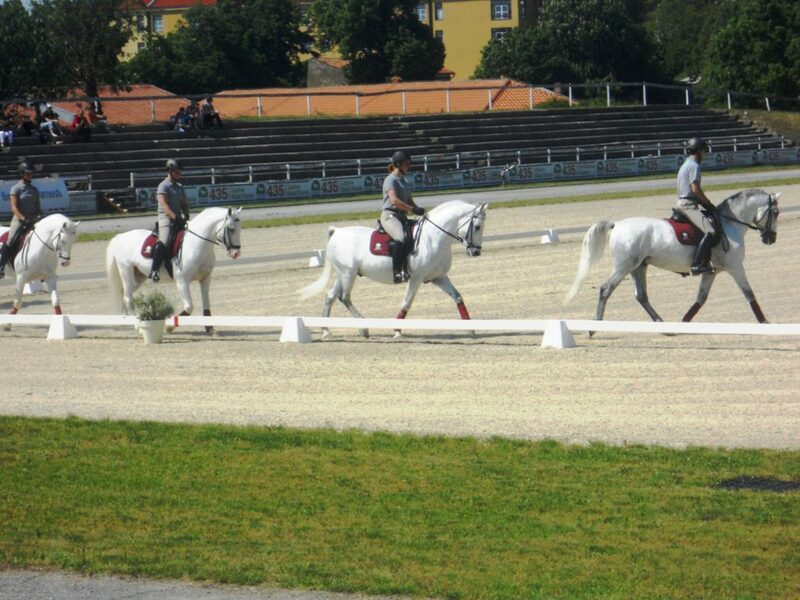 Ten kilometres from the Skocjan Caves is the famous Lipica stud farm—the cradle of all Lipizzaner horses in the world. Did you know they are born black?! 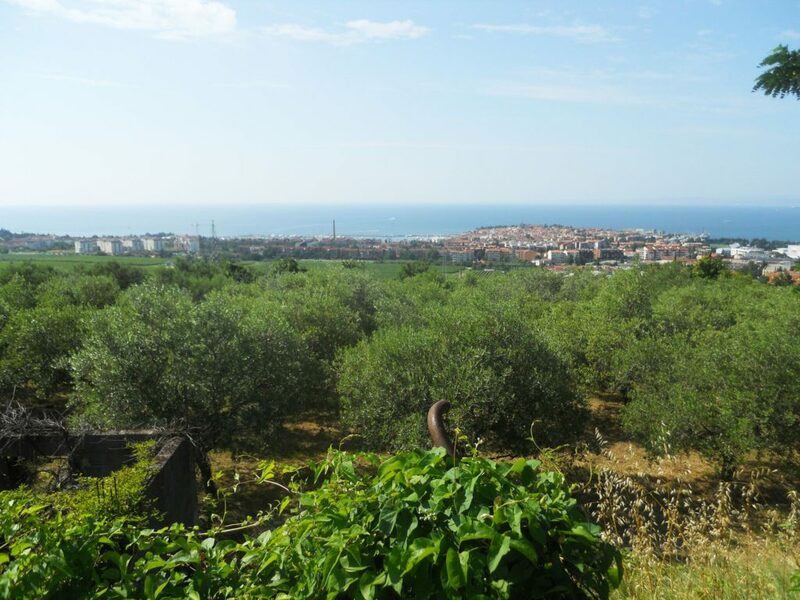 Arriving at the coast, the picturesque countryside changes again and is dotted with vineyards and olive groves stretching down to the Adriatic Sea. Primorska Region is greatly influenced by Italy and is only one hour from Ljubljana. Lipica, Shows three times a week. In case you think Slovenia is only about nature and sports, it also has a rich cultural life featuring festivals and events of all kinds—theatre, puppet theatre, concerts, art galleries, museums, etc. What I like most is that it does not feel “touristy” like other popular destinations, although many tour buses visit from all over Europe. Summer 2016 saw a big increase in the number of visitors to Slovenia. I returned to Canada at the end of June after two wonderful months exploring this delightful European secret everybody should discover! by Joze Borstnar and Tessa Borner. Available on Amazon and Kindle E-Book. Tessa Borner is British/Canadian and is an author, journalist and teacher. She has a Canadian university degree in journalism and European history, a Bachelor of Education teaching English as a Second Language and a Cambridge University certificate teaching English as a Foreign Language. She was a director of Adult ESL programs for the Halton Board of Education and taught English in Prague, Czech Republic in 1990 after that country’s Velvet Revolution. She started 50 Plus travel Club for seniors and organized group tours to unusual destinations. Jože Borštnar is Slovene and lives in Ljubljana, the capital of Slovenia. He lived through Slovenia’s turbulent history post World War II. He studied economics at the University of Ljubljana. He was a tour manager on coach tours for American tourists visiting Balkan countries and in 1983 he developed a campsite in the mountains where guests spent their holidays. In 1991 he started a travel agency. After 27 years of professional experience in the tourist industry, he created “Visit Slovenia à la carte” which offers interesting half-day and full-day trips to visitors of Ljubljana as well as other tourist services. His clients urged him to write a book about the interesting stories he told them, so Slovenia a la Carte – All You Ever Wanted to Know About Slovenia was born.